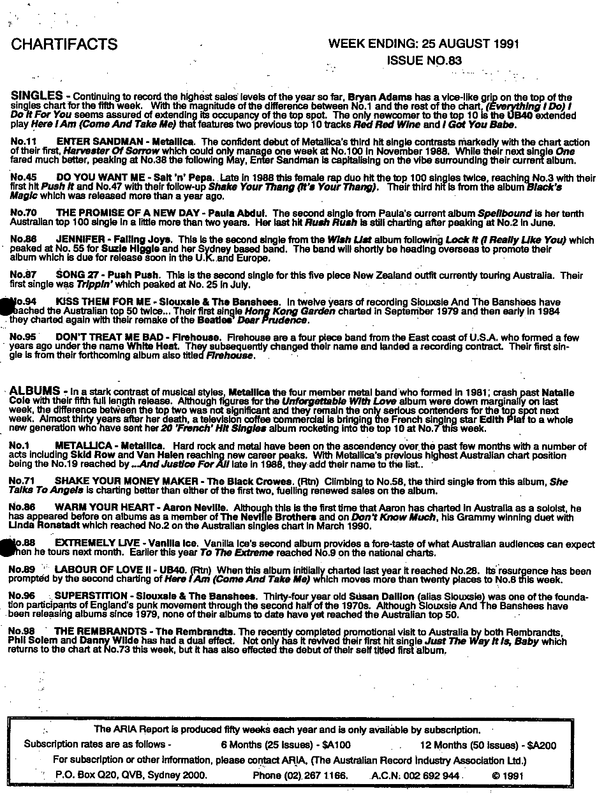 The single contained two B-sides, both of which were cover songs: "Breadfan", originally by Budgie, and "The Prince", originally by Diamond Head. There was an error in the mastering of the recording: At the end of "Breadfan", a distorted voice can be heard saying "Mommy, where's Fluffy?". This was actually intended to be the intro to the next track, "The Prince". However, it was separated in the wrong place. The band decided not to correct this error when the tracks were included on their 1998 Garage Inc. compilation. The song was covered by San Francisco–area alternative/ska band Link 80 for the 2000 compilation album Punk Goes Metal. Apocalyptica covered the song for the A Tribute to the Four Horsemen cover album. German electronic group Funker Vogt also covered the song on The Blackest Album Vol. 3 tribute album. ↑ "Harvester of Sorrow release date". Metallica.com. Retrieved June 22, 2011. 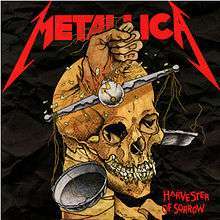 ↑ "Charts.org.nz – Metallica – Harvester of Sorrow". Top 40 Singles.